The developer received nearly $9 million in public funds in part by pledging application priority for storm victims, but did little to promote it, recovery organizations said. A developer received $8,750,000 in public disaster recovery funding to build an affordable housing complex in Copiague — an area hit hard by superstorm Sandy — in part by pledging to give application priority to storm victims when leasing the 89 apartments. Of 994 tenant applications, five came from storm victims, and none of those five moved into the pair of four-floor buildings when they opened in August, the developer said. 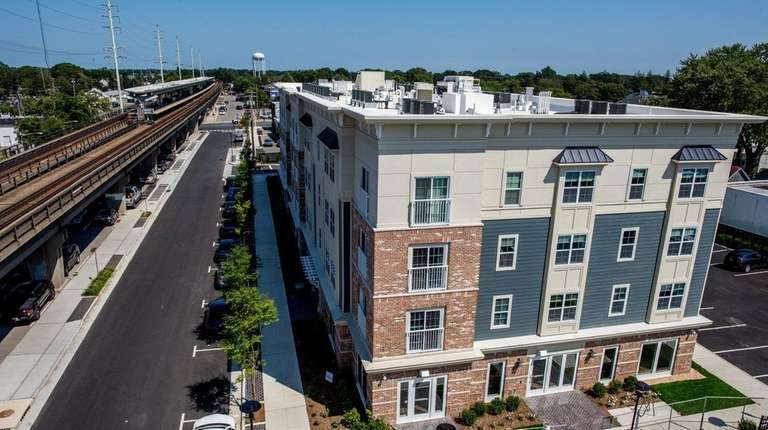 Conifer Realty LLC of Rochester, which developed the $33.5 million Copiague Commons on Railroad Avenue with the Community Development Corp. of Long Island, “marketed aggressively” to storm victims, senior project director Arthur Krauer said. The corporation provides loans, counseling and other services related to housing. In a 2014 funding application to New York State, obtained by Newsday in December through a Freedom of Information request, Conifer said it would have an admissions preference for displaced households and seek referrals from a local Sandy recovery coalition. Coalition organizers didn’t receive any referral requests, they said. Neither did Sandy recovery groups active in Copiague, their representatives said. “It’s really disappointing,” said Kim Skillen, co-founder of Neighbors Supporting Neighbors, Babylon, a nonprofit that has provided assistance to Sandy victims. Conifer did not respond to questions about whether it sought referrals. Mary Costello said she would have considered applying to Copiague Commons had she known about it. “I would have certainly checked it out,” said Costello, 67. Sandy inundated her Freeport apartment, she said. She lives with her sister in Lido Beach and is looking for affordable or senior rental housing. The apartments are for tenants who earn up to 100 percent of area median income, with monthly rents between $1,169 and $1,850. Four of the five storm victims who applied to Copiague Commons were over the income limit, and the fifth found housing elsewhere, Krauer said. Catie Marshall, a spokeswoman for the Governor’s Office of Storm Recovery, said “the developer actively marketed the project in accordance with federal regulation and enhanced the outreach to include those who might have been displaced by Sandy, as they agreed to do in their proposal.” She did not respond to a request to provide examples of the developers’ outreach to storm victims. New York State awarded Conifer the $8,750,000 community development block grant program loan in 2015 after a 2014 request for proposals. The request sought projects that would create or preserve rental housing in areas impacted by Sandy in 2012, or Hurricane Irene or Tropical Storm Lee, both in 2011. The request lists an “admissions preference for rental households who were displaced by” those storms among “competitive criteria” that influenced the order in which proposals were funded. Officials from the Governor’s Office of Storm Recovery told Newsday the purpose of the financing was not to specifically create housing for storm victims, but instead to promote affordable, resilient rental housing in areas hit by storms. An admission preference for storm victims was optional in applying for the funding, but Copiague Commons’ admissions preference made its application more competitive, they said. The group, which dissolved in the past year, was a coalition of organizations working on Sandy recovery efforts and run by the Health and Welfare Council of Long Island, council president Rebecca Sanin said. Neither Conifer nor the Centereach-based Community Development Corp. had sought referrals from the group since September 2016, Sanin said. Directors of Friends of Long Island; Neighbors Supporting Neighbors, Babylon; Adopt A House; and Sandy Support, Massapequa Style — storm recovery organizations active in Copiague that were members of the Long Term Recovery Group — said they could not recall the Copiague Commons developers seeking referrals. 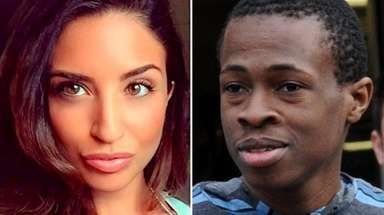 “We could have absolutely found families if we were told,” said Beth Henry of the Massapequa organization. Sandy damaged 27 percent of housing in Copiague, a hamlet of 21,000 residents, including 78 rental units, according to the area’s 2014 Community Reconstruction Plan. Copiague’s recovery from Sandy coincided with a campaign by the Town of Babylon to spur dense, walkable development near the hamlet’s Long Island Rail Road station. Copiague Commons is a centerpiece of that effort. State officials said few storm victims probably applied because Copiague Commons only began accepting applications around March 2017, more than four years after Sandy. Gwen O’Shea, president and chief executive of the Community Development Corp., said the plan to “seek referrals” of people displaced by storms described in the funding application did not mean that the developers would look for storm victims. Instead, she said “seek referrals” meant “share the information” about Copiague Commons and its preference for storm victims. Corporation officials did so in meetings, including with members of the Long Term Recovery Group, and through mailings, emails and social media, she said, without providing examples of the outreach efforts. O’Shea, who assumed her post at the corporation in March 2017, said the bulk of its efforts to raise awareness about Copiague Commons’ preference for storm victims occurred under her predecessor, Marianne Garvin, who also was on the executive committee of the Long Term Recovery Group. Garvin did not respond to requests for comment. In March 2017, Conifer and the Community Development Corp. broke ground on Peconic Crossing, an affordable housing development in Riverhead, according to Conifer’s website. The project, which received $4.55 million from the Governor’s Office of Storm Recovery, also has an admissions preference for storm victims. O’Shea said the developers planned to use “similar tactics” in their outreach to storm victims for the Riverhead project.